I worked with the fine folks at the Animals Benefit Club in Phoenix and want to spread the word about the hard time they are having right now due to low donations and a down economy. KTVK Channel 3 just did a story on them tonight. ANIMALS BENEFIT CLUB is holding an Open House on Sunday, August 24th. We encourage you to come on out to the sanctuary to tour the facility and see all of our animal guests in person. We’re open from 11AM to 3 PM, rain or shine. We’ll have refreshments on hand, and plenty of staff and volunteers to answer all of your questions. ABC is a non-profit 501-C3 organization founded in January 1979 by teacher Dee Kotinas and her junior high school high-risk students. Our only source of income is through public donations, bequests and grants. ABC’s Sanctuary has become a model for other no-kill sanctuaries throughout Arizona and elsewhere. ABC has been extremely active in state and local legislation representing the rights and needs of animals and pet owners. 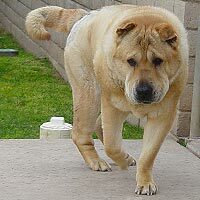 This entry was posted in blog and tagged animals, ANIMALS BENEFIT CLUB, cats, dogs, non-profit, pet, phoenix, shelter. Bookmark the permalink.